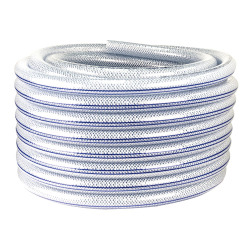 1" ID x 1.464" OD Kuri Tec® POLYWIRE® PLUS K7300 Series PVC Hose | U.S. Plastic Corp. 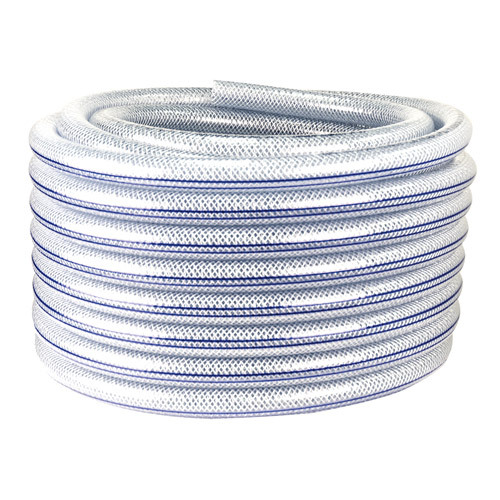 This 1" ID x 1.464" OD hose has a working pressure of 225 PSI @ 70°F and 112 PSI @ 122°F. It has a 3.5" minimum bend radius @ 70°F. Standard coil length 100'.